Sponsored by the Anglican Association of Biblical Scholars, the Conversations with Scripture series was created just for Episcopalians. Each book is based on the finest biblical scholarship, written from a uniquely Anglican perspective, and designed for people in the pews eager to learn more about Scripture - and how it applies to their lives today.Sunday School curriculum or an irredeemably violent book? Throughout its history Judges has both entertained and appalled readers - some read it as a series of simple stories about faithfulness and some as a brutal and bloodthirsty book. Heller explores how Judges can shape our understanding of our world, our relationships, and can provide a path to a deeper appreciation of the ways of God among people. Far from seeing the book as either simplistic or cruel, Heller allows this odd text to speak to us anew about God, sin, relationships, and justice. 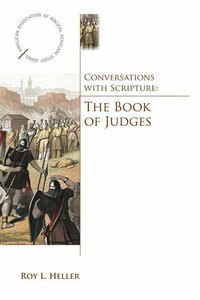 About "Aabss: Converstaions With Scripture: Book of Judges"